If last year was the comeback of the bucket bags, now it’s time for the backpacks to been seen everywhere. This bag, which was a hit in the 90s left the runway shows to the streets what makes it possible to buy not only a €1.200 Phillip Lim as a €35 Zara backpack. 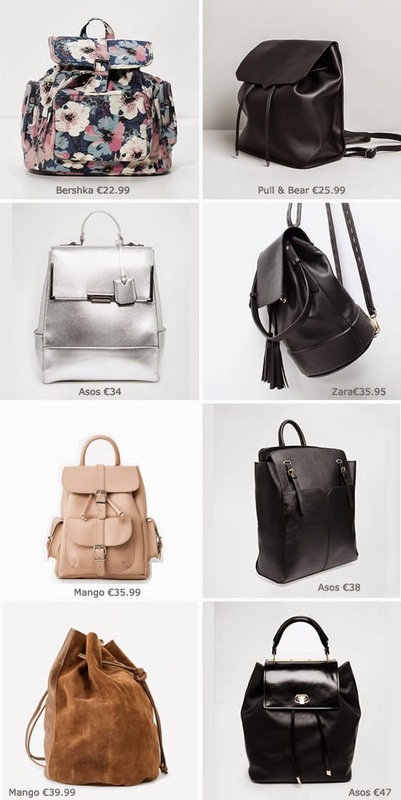 Off course I’m not talking about the huge school backpacks that we all know so well, now it’s time for leather, luxury materials, colors and designs that will make you wish to have one again. Check my selection of 30 backpacks! Muito giras, mas acho que temos de as usar só num ombro e mais orientadas para a frente ou acabamos o dia sem dinheiro, principalmente quem anda de transportes públicos. Muito gira a da topshop!